Take your dog out to the Dog Park! Dog owners should be aware that City Code requires all dogs be on a leash while in city parks and on city trails. 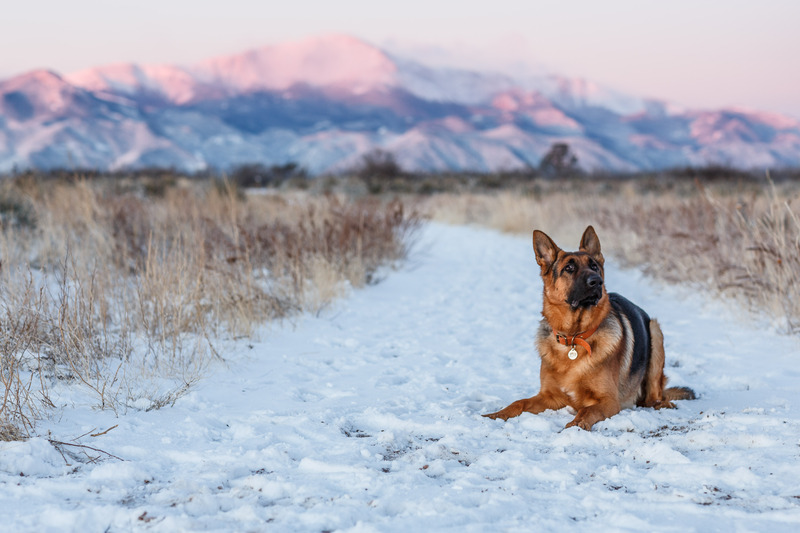 The Parks, Recreation & Cultural Services Department does realize that dogs enjoy having areas where they can run and "burn off some steam," so we offer several off-leash areas. Please keep in mind that your dog must still be kept under control in off-leash areas. Pet owners are required to clean up after their pet. All neighborhood parks are equipped with "doggie-bag" dispensers and trash cans. Thanks for your assistance in keeping our parks clean and safe for all park patrons! Garden of the Gods Park: Area east of Rock Ledge Ranch & south of Gateway Rd. Red Rock Canyon Open Space: Designated Dog Loop trail areas south of main parking lot. Cheyenne Meadows Park (south portion): Native grass area off Charmwood Dr. and Canoe Creek Dr.
Rampart Park: Just east of the baseball diamond. Don't see the dog park you are looking for? It might be maintained by El Paso County Parks. Visit their website here. Dogs must be accompanied by a person at least 16 years of age when inside the enclosure. Dogs must be on a leash until inside the enclosure. Dogs with a history of aggressive behavior must wear a muzzle. Owners are responsible and liable for the actions and behavior of their dogs at all times. Dogs must be properly inoculated, licensed, and not in breeding condition in order the use facilities. Pinch (prong) and spike collars must be removed prior to entering the enclosure. A basic flat buckle collar with license, rabies, and identification tags attached is recommended.